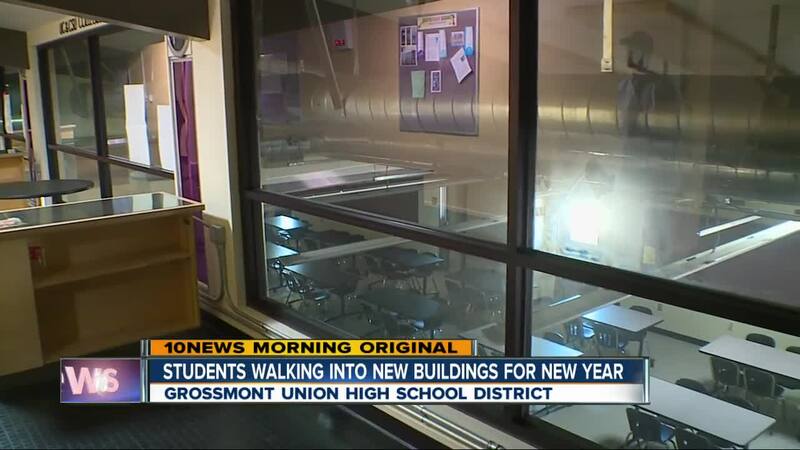 Students in the Grossmont Union High School District will start the new school year with new buildings and technology on campus, as the district continues work on $819 million worth of construction funded by voter approved bonds. EL CAJON (KGTV): It's become as much a back-to-school tradition as new pencils and notebooks; new buildings and construction at Grossmont Union High School District campuses. "We're bringing everything up," says Mount Miguel Principal Jake Gaier. "These students will walk in the door and have access to things that we just haven't had access to before." His school is set to open a new Student Services Center, where state of the art facilities await students and parents as they register for class or meet with guidance counselors. They're also getting a new public events center and turning the old administration building into a STEM complex. The work at Mount Miguel is part of $819 million worth of upgrades that have been underway in the district since 2004. Since then, a trio of voter-approved bonds has helped GUHSD upgrade their aging campuses, some of which date back to the 1950s. In 2004, Proposition H gave the district $274 million. Proposition U in 2008 added another $417 million. And Measure BB in 2016 gave the district $128 million. To date, the district has spent $701 million of that money. Every school has benefited from the bonds, with some campuses getting work done on every single building. At Santana High School, a new PE building will open this spring. They also renovated STEM labs, giving their award-winning robotics program its own space, and adding an observation balcony for visitors to watch the kids work without disrupting them. Principal Tim Schwuchow requires that every student join an extracurricular activity. He says the new facilities reinforce the connection between academics and electives. "The kids will really feel they're valued and their extracurricular activities are important to the school," he says. 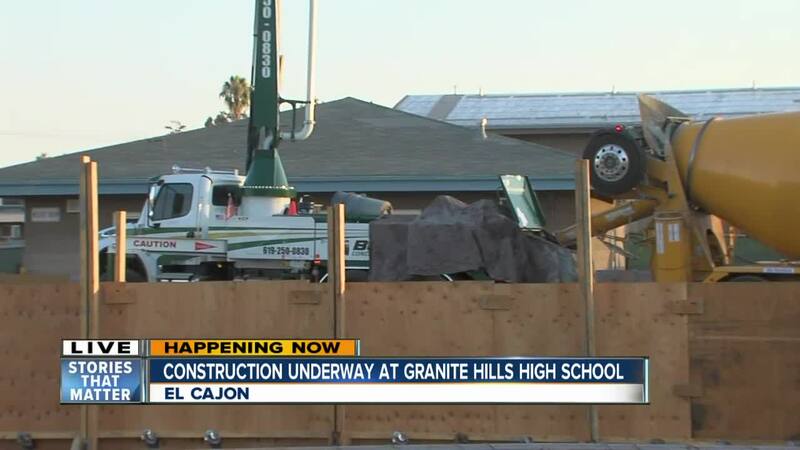 Granite Hills is also getting a new PE Building. It will be combined with a new Food Services building. "We serve 700 meals a day," says Principal Mike Fowler. "The kitchen we use was built in 1960. It's too slow." Construction crews started pouring the concrete foundation earlier this month. Fowler says the new facility will be a game changer for his students, allowing the building to keep pace with changing curriculum. It can also be used in case of emergency as a community evacuation center. Those three schools have been the focus on construction this summer. Since may, Granite Hills has gotten $1.5 million in work done. Mount Miguel has received $3.7 million. Santana got $2.4. Since the bonds passed, the district has spent $701 million of the $819 million that voters approved. The San Diego County Taxpayers Association gives the district a 96% score when it comes to transparency in their bond spending. A full list of the project at all 11 of the district's schools can be found here.